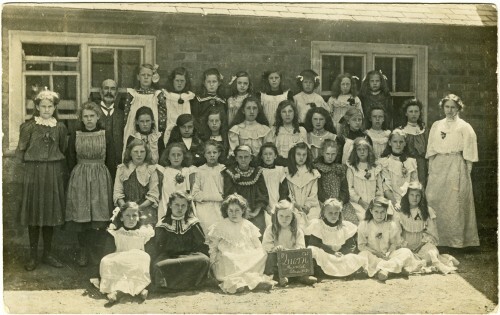 This excellent quality photograph of St Bartholomew’s National School, was taken in 1910. On the left is the headmaster, Charles Adams, who was known as Gaffer Adams. He was head from 1889 to 1921. Missing information: Have you got any information about anyone in this picture?